One thing I’ve noticed among our clients is that when it comes to Google Adwords, they find great difficulty in picking the best keywords most relevant to their business. "Give me six hours to chop down a tree and I will spend the first four sharpening the axe. Below, I cover 3 hacks that will help you choose keywords for Adwords campaigns and eliminate some of your Google advertising frustrations. Google Trends is a website that provides you with ideas and trends related to certain keywords. When using trends, I recommend starting with your product, service or niche and then going from there. The goal of Google Trends is to look for trends throughout the calendar year to avoid bidding on keywords that no one is really searching for. We want to know who your customer is. We want to know how they communicate during the buyer’s journey. That is, what language are your customers using when they interact with your business? From the pre-sale to after the transaction, what are they asking you? Their choice of words are indicators of the words they will use when performing a Google search, that may or may not be identified in the Google Keywords Planner. Keyword modifiers are a good place to start when choosing the best keywords for your AdWords campaign. The easiest modifier to identify is the location modifier; adding a local city to a keyword phrase. Geography-based keyword modifiers are a great choice if you’re doing business in a local market. Intention-related keywords allows for you to gain a deeper perspective of where the customer is in the buying journey. There are hundreds upon thousands of keywords that you can bid on and optimize for. It is costly to bid on them all, so as you look for the best keywords be that 5-hour person. Take the time to dial-in on the right keywords. 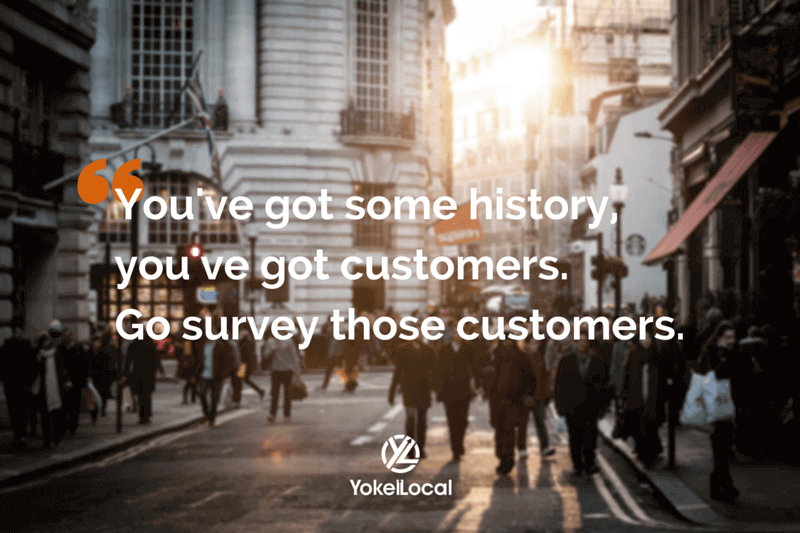 For more tips on how your small business can succeed in local internet marketing, Subsribe to #AskYokelLocal. 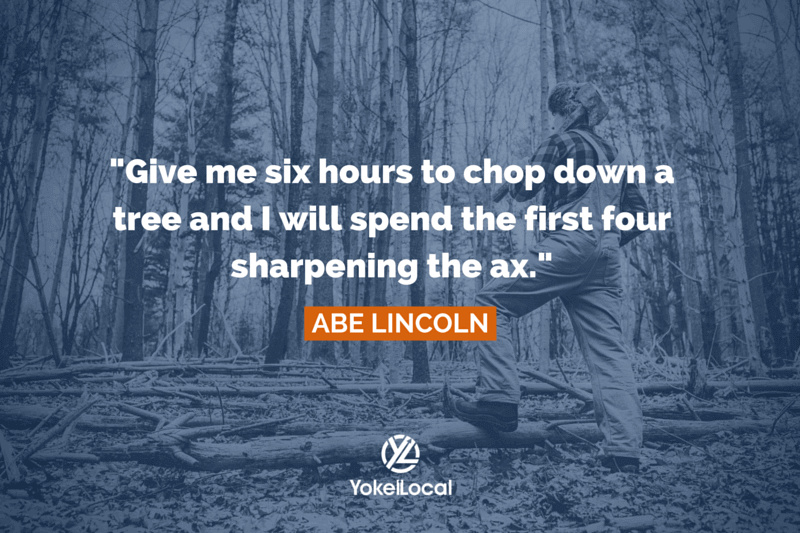 Abraham Lincoln once said that if he had six hours to chop down a tree, he would spend five hours sharpening the axe. 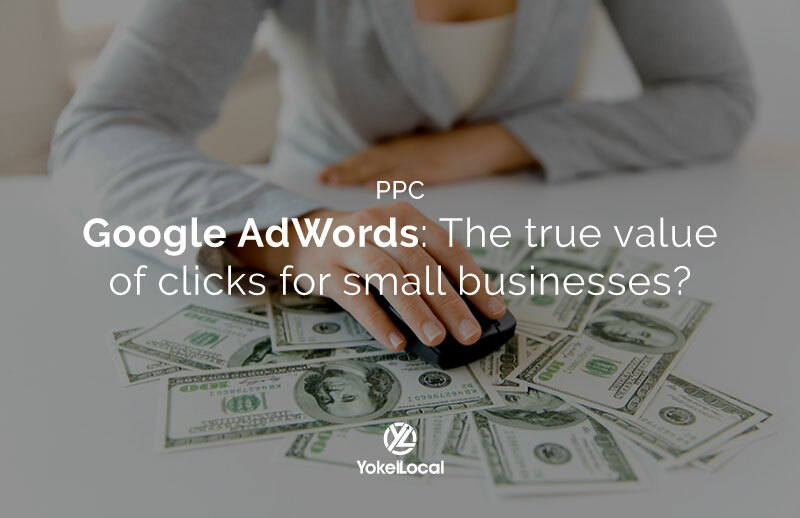 Well in today's edition of #AskYokelLocal we're going to talk about how to identify and pick the best keywords for your AdWords Campaigns. And what we're going to do is spend more of the time talking about how to sharpen the axe. I hope you stick around. Hey everyone. My name is Darrell Evans. 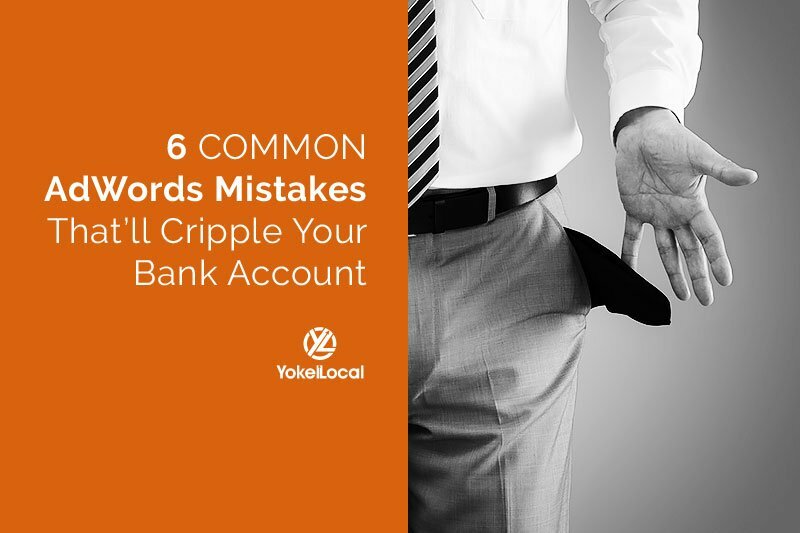 I'm the co-founder of Yokel Local Internet Marketing, and in today's edition we're going to tackle the question of how to change your best keywords. Now this question came from a client of ours who had this conversation with us and we broke down some ideas that gave him some help and here's what I want to do for you today. 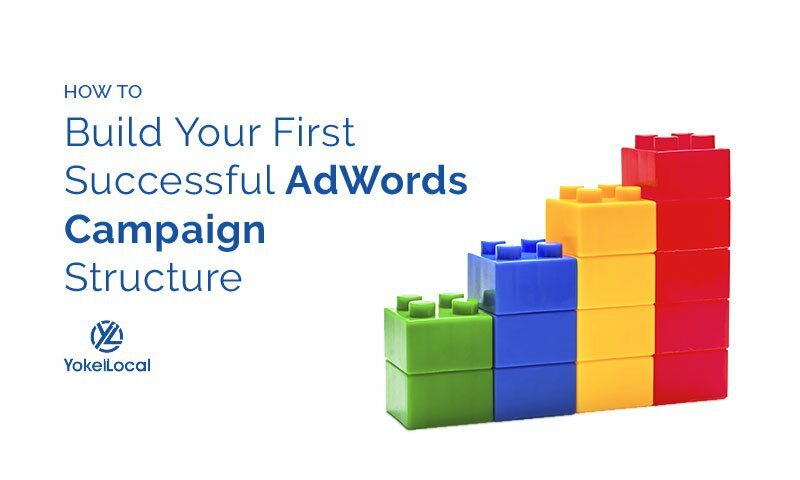 I want to tell you about three things that we bring into the conversation when we're looking at building campaigns and optimizing those campaigns. And, by the way, if you're a seasoned marketer or advertising agency you know there's other tools that are more specific that are highly advanced, so this really isn't for you. This is for the business owner who's sitting there trying to run their own campaigns from 6:00 at night until 2:00 in the morning after they already did their professional job during the day. So this is who it's really cut out for. Google Trends is a website that can give you ideas of trends of certain keywords and of course you would start with your product or your service or your industry or your niche. And you're looking for actual trends throughout the calendar year because you could end up bidding on keywords where there's no trend, that anyone's really searching for that keyword. The other thing that you're going to find are you're going to find breakout, keywords and phrases, that would give you some other ammunition to go back to the Google Keyword Planner tool and use sort of as your seed keyword. I'd really encourage you to google Google Trends, and start looking at that tool as part of your research process. The second thing is going to go right back to your customer. We always tell our clients that we want to know who your customer is and how they speak during the buying process, and this is important. It comes back to buyer persona. It comes back to the buyer's journey. What we want to know the language that your customer is using when they speak with you during the interaction. That's during the pre-sell interaction, that's during the customer interaction, and then what are they asking you after the transaction has taken place, because they're going to be indicators and hints about the words that they're saying to themselves, they're saying to you. They're also going to be searching those phrases and Google may or may not identify those in the Google Keyword tool. So I hope that was helpful. Number three, and this one's a little bit interesting, but you want to start thinking about modifiers. Now what do I mean by modifiers? Certainly the easiest modifier to a keyword or a keyword phrase is by adding a local city or geography and it's a good place to start. If you're doing business in a local market like Seattle, Washington or Austin, Texas, then by all means you should look at the different variations of the city. But I also want you to think about what I call intent modifiers and intent modifiers may look like this. They may look like low cost keyword, fast, X-Y-Z. So let me, for instance, you know, emergency plumbing, emergency dentist, those kinds of intention. When you find intention related phrases to tie onto your keywords, you're also going to be dialing in to where that customer is in the buyer's journey a little bit more effectively. And so when you talk about optimizing keywords, I mean, there's so many keywords that you could possibly bid on and I can assure you, you don't have enough money to bid on them all. So if you're looking for the best keywords, be a five-hour person. Spend time dialing down the keywords. Google trends, the FAQ's, the frequently asked questions and the customer dialogs that you've had in your business, and I'm assuming if you're doing AdWords you didn't just start your business last week. You've got some history, you've got customers. Go survey those customers. And then last, and most importantly, take a look at the modifiers, the intention modifiers, and that's going to look differently depending on the industry. So those are my three tips today. Again, be a five-hour person when it comes to setting up your campaigns. Really in anything in marketing, so often, people jump right into the tactic or the strategy. They start, you know, doing stuff, and they have no idea what's really available and sometimes it's right under their nose. Anyway, my name's Darrell Evans. I'll see you on the next edition of #AskYokelLocal. Thanks.